Fannie Mae, Freddie Mac, and other mortgage providers have a Christmas present for struggling homeowners: They won’t get thrown out of their houses homes during the holiday season. 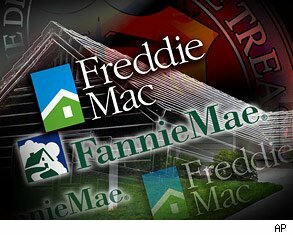 Fannie Mae and Freddie Mac will not foreclose on any homeowners between December 19 and January 2, according to statements on their web sites. Private mortgage providers, such as JPMorgan Chase, Wells Fargo, and Bank of America, also said they plan to suspend their evictions during the holidays, according to CNNMoney. “The holidays are meant for families to spend time together,” Terry Edwards, executive vice president at Fannie Mae, said in a statement. That holiday spirit will only go so far. During the holidays, Fannie Mae and Freddie Mac acknowledged that they will continue the administrative and legal proceedings leading to foreclosure in their statements. Find rentals in your area.